The philosophy of Macintyre and Dobson is to make information available on anthropology, ethnohistory and ethnobotany in a clear, easy-to-read style and to make the reader aware that anthropology is for everybody. It can make a difference when people understand other people’s cultures and traditions. Our shed, like other anthropologists’ sheds, is filled to the brim with field notes, reports, photographs, videos, half-finished manuscripts and a varied assortment of miscellaneous anthropological ‘bits and pieces’. What we are trying to do on this website is to bring together in a coherent and interesting way some of this information which would otherwise become “lost” to the world. It is the moral obligation of the anthropologist to ‘give it back’ to all those people who have contributed in some way or another to the cumulative anthropological database. We dedicate this site to those who have shared their information with us over the past forty years. Many of those people are no longer with us today but we are sure that they would like to know that their shared information is not lost but lives on in cyberspace. No culturally sensitive information will be published on this website unless with the permission of the Traditional Owners. Indigenous culture should not be demeaned or its mythology trivialised in any way. All cultures provide a framework for survival. All materials on this website including photographs can be downloaded free of charge and reproduced electronically on condition that proper acknowledgement is given to Macintyre and Dobson as the original source. We believe that information is the building block of research and should be freely accessible to all researchers and interested parties. 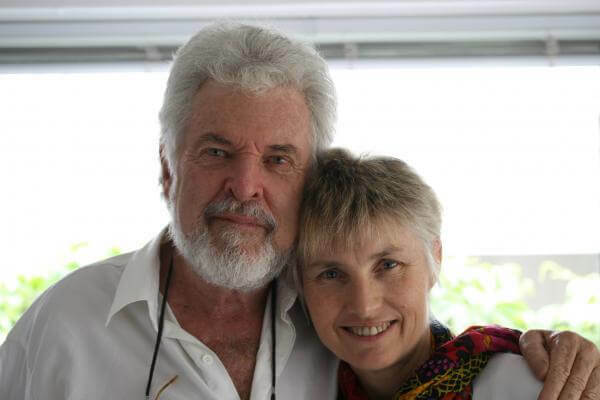 Ken Macintyre and Dr Barb Dobson have been involved in the field of anthropology for over forty years, specialising in Aboriginal Australia and Southeast Asia. They have been students, lecturers and tutors in anthropology at Curtin University and the University of Western Australia. As consulting anthropologists and directors of Macintyre Dobson and Associates Pty Ltd, they have carried out extensive fieldwork and Aboriginal consultations throughout Western Australia. Their special areas of interest are south-western Australia, east and north-eastern Goldfields and Western Desert. They have completed over 1000 ethnographic site survey reports and social impact studies for private and government organizations. In addition, they have facilitated numerous cross-cultural awareness seminars. In 1990 they set up a project to investigate traditional healing, magic and massage practices in Central and Western Lombok. The focus of their study was to compare the traditional medical practices of the Sasak people to those methods used by Aboriginal healers of the Western Desert in Western Australia. The results of their study show a striking similarity between the two cultures with regards to the use of placebo and nocebo effects in their traditional healing methodologies. They have prepared papers and video footage of these techniques, some of which will be available on this website. At present Ken and Barbara are involved in analysing and re-interpreting the ethno-historical records of South Western Australia, especially with regards to indigenous Australian food and its preparation, indigenous astronomy and traditional perceptions of time and seasonal reckoning. Ken and Barbara are piecing together the jigsaw using historical records, practical and scientific experimentation and the contemporary views of Nyungar people. Ken and Barbara believe that a large part of documented Nyungar history has been distorted by a repetition of misinterpretations and Eurocentric attitudes. As anthropologists they fully acknowledge that the cultural past must not be seen as a fossilised relic which has no bearing on contemporary life. All cultures are dynamic and at any particular time in their history they provide a people with an identity and heritage. There is a wealth of indigenous science and cultural knowledge that has yet to be uncovered and interpreted. Once this material is located, analyzed and put into a context, it will yield not only a better understanding of indigenous culture, but will further our understanding of how a group of people such as the Nyungar adapted to their specific environment through the use of traditional knowledge.